The 2019 Direct Entry Programme application has commenced. Direct Entry Programme enables those with HND, OND, NCE, IJMB, Diploma, ICAN to study related courses in Nigeria Varsities without having to write JAMB exam. 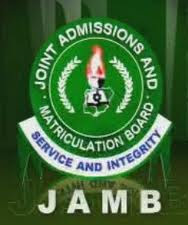 The 2019 JAMB DE registration has incept, MySchoolGist Team has provided candidates with all the necessary information they need to know regarding the 2019 JAMB Direct Entry application. Can O’level student apply 4 direct entry. I want to know if someone can apply without ssce. That is the Ssce is pending. Thks a lot for d info. I want to know if any university (excluding privates) accept HND (lower credit), and what level would such person begin from if admitted? I have HND in Accounting (lower credit), and i intend studying Business Admin or any other related course now. Thks.